The EC-Multi-Sensor-BLE is a compact, "4-in-1" communicating device. With just one wire and one connection, this compact device effectively combines (1) a motion detector, (2) a light sensor, (3) a temperature sensor, and (4) a Bluetooth® low energy technology transceiver for the wireless control of comfort from a mobile phone. The EC-Multi-Sensor-BLE is a compact, "4-in-1" communicating device. 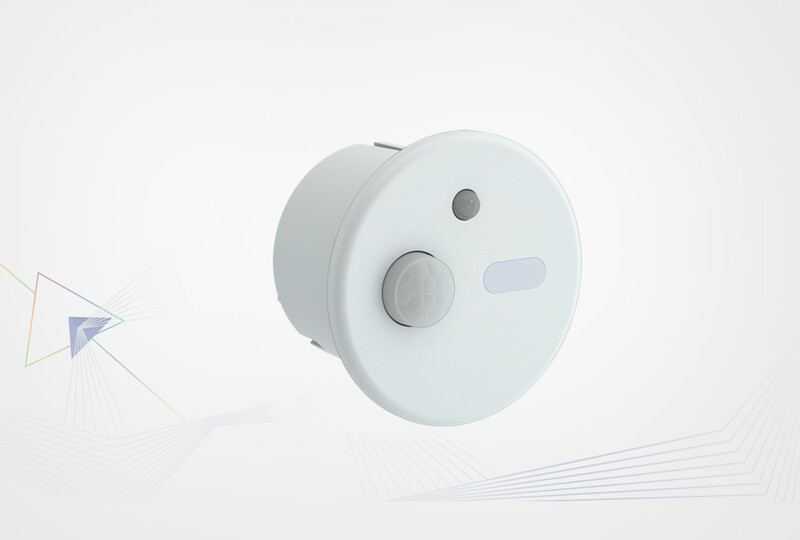 With just one wire and one connection, this compact device effectively combines (1) a motion detector, (2) a light sensor, (3) a temperature sensor, and (4) a Bluetooth® low energy technology transceiver for the wireless control of comfort from a mobile phone. The sensor can be directly connected to an ECLYPSE™ Series controller or to an expansion module with a digital RJ-45 link or daisy-chained using an ECx-Subnet-Adapter. It can be used alone, or together with a mobile application. Combines a motion detector, a light sensor, a temperature sensor, and an infrared receiver in a single compact device. This allows to receive input signals from remote controls and to acquire presence, light level and temperature information to control all comfort parameters in a room according to the occupancy status. 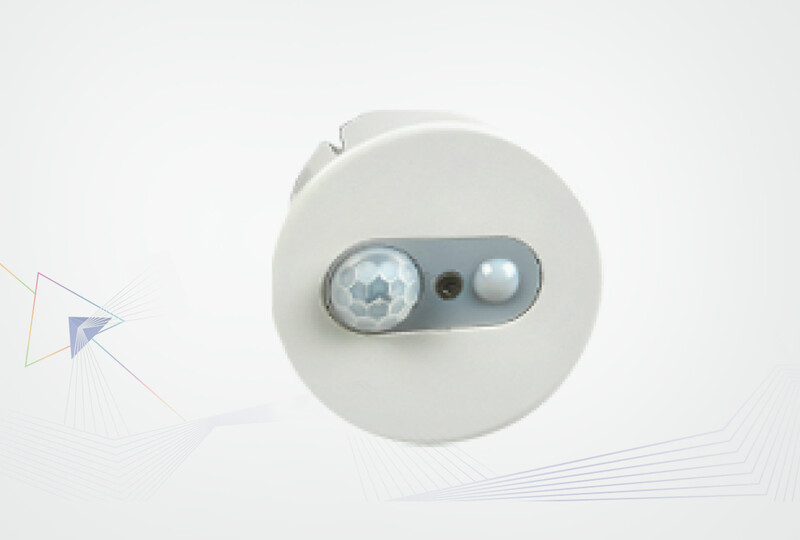 Combines a motion detector, a light sensor, a temperature sensor, and an infrared receiver in a single compact device. This allows to receive input signals from remote controls and to acquire presence, light level and temperature information to control all comfort parameters in a room according to the occupancy status. The sensor can be directly connected to a controller or to an expansion module with a digital RJ-45 link or daisy-chained using an ECx-Subnet-Adapter. It can be used alone, or together with a remote control.